The Mid Beach section of Miami Beach runs from 24th to 63rd street. Best defined by its more laid-back atmosphere compared to the action of South Beach, Mid Beach features family-owned shops and restaurants in the 41st street district. Enjoy the outdoors by strolling along the wooden boardwalk that runs from 21st to 46th streets or along some of the quieter beaches in Miami Beach. 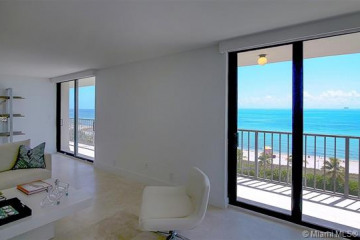 About Mid Beach Real Estate and Condos: Real estate options in Mid Beach consist of a mixture of single family homes and oceanfront condos lining Collins Avenue. Residents of the area can walk to the ocean from relatively anywhere in the community.